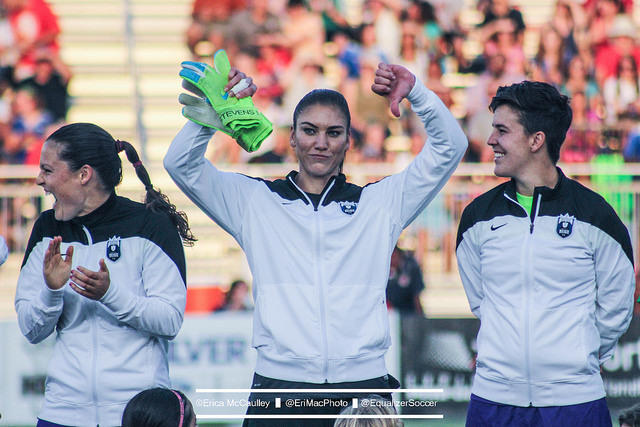 Hope Solo is recovering from shoulder surgery from last fall, but has aspirations to play professionally again for both club and country. The U.S. Soccer Federation reached a settlement with former USWNT goalkeeper Hope Solo after the USWNT Player’s Association filed a grievance on Solo’s behalf after her team suspension and contract termination which took place more than a year ago, according to the San Francisco Chronicle. The settlement between both U.S. Soccer and Hope Solo was reached last month and arbitration was avoided. Solo’s suspension from the team and her eventual contract termination came off the heels of the USWNT early exit in the 2016 Rio Olympics at the hands of Sweden in the quarterfinals. 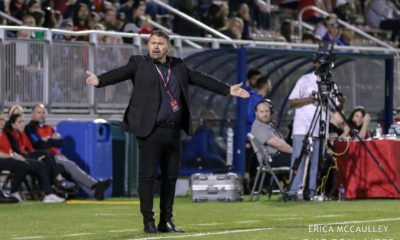 Following the US loss, Solo called the Pia Sundhage’s team “a bunch of cowards” after their defensive strategy forced penalty kicks that gave them the victory over the USWNT. The veteran USWNT goalkeeper has been recovering from shoulder replacement surgery since last fall, but has drawn interest from clubs abroad. 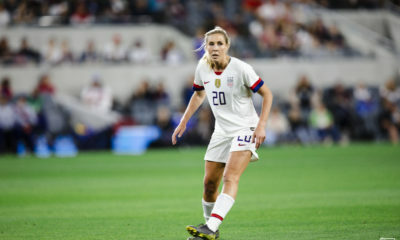 Despite her long resume of accomplishments including holding records for the most wins by a goalkeeper (152) and most shutouts (102) on top of 2015 World Cup Champion, and 2x gold medalist in 2008 and 2012, Solo’s return to the USWNT may be difficult. The team, that’s got its eyes set on the 2019 FIFA Women’s World Cup in France, has replaced Solo with both Alyssa Naeher and Ashlyn Harris. 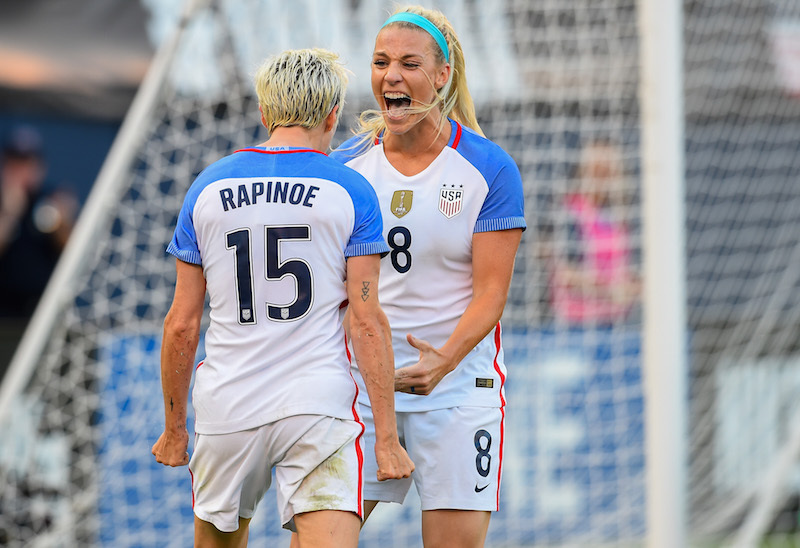 Both were Solo’s back ups at the 2015 World Cup and 2016 Olympics. After a string of poor results, Emily Lima has been fired as the head coach of the Brazil Women’s national team. 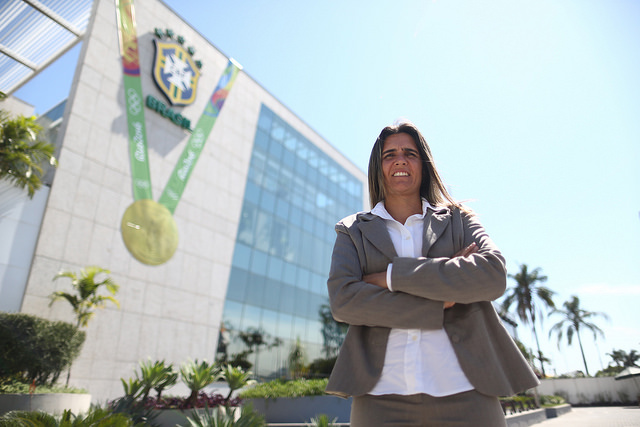 Lima, the first female WNT coach for Brazil, spent less than a year in her post as head coach of the squad. The former Brazil WNT player was announced by the Brazilian Soccer Confederation on November 1 to replace Oswalda Alvarez (Vadao) as head coach of the team. She made her debut with the team in early December. Despite some early victories, she’s been on the bad side of a few recent results. In the Tournament of Nations, Brazil lost two games, to the USWNT and Australia, and tied Japan as they concluded the tournament without a single win. Their loss against Australia was by a big margin too, one of 6-1. Most recently. Brazil lost both games in a two-game away series against Australia earlier this month. Emily Lima não é mais técnica da seleção feminina de futebol, em reunião nesta manhã foi demitida pelos resultados negativos. Carli Lloyd (USWNT), Deyna Castellanos (Venezuela) and Lieke Martens (Netherlands) have been named the three finalists for the Best FIFA Women’s Player 2017. Lloyd, Castellanos and Martens were chosen from an initial shortlist of ten by a panel of women’s soccer experts. Lloyd, who won the award in 2015 and 2016, saw a successful four-month stint for Manchester City. She helped the club to the 2016/17 UEFA Women’s Champions League semi-finals as well as securing the FA Women’s Cup. Deyna Castellanos, who broke onto the international scene at the FIFA U-17 Women’s World Cup in Jordan last year competing for Venezuela and won both the Bronze Ball and Bronze Boot at the tournament, was named Player of the Year in the United Women’s Soccer season 2017. The 18-year old plays college soccer with the Florida State Seminoles. Lieke Martens, who signed for Barcelona after leaving Rosengard earlier this summer, had a stellar showing as she helped bring home the 2017 UEFA EURO Championship for the Netherlands. The 24-year old was voted player of the tournament and was a crucial part of the championship-winning team. Notably left off this year’s finalist list is Australian forward Sam Kerr. Sam Kerr has had a remarkable year for both club and country. She currently leads the NWSL in goals with 16 on the season which is tied for the single-season scoring record (Kim Little). She’s also been a force for the Matildas. Kerr has scored against some of the best teams in the world this summer for Australia, like Brazil among others. Despite coming to terms on a new collective bargaining agreement five months ago, the USWNT and U.S. Soccer are at odds again, this time, because the women are set to close their 2017 schedule with four of their final nine games on artificial turf. After negotiations came to a close on the new CBA, arrangements for several of the games on turf fields occurred. Although players were made aware of the reasons behind each venue choice, they believe that continuing to play on turf violates the spirit of their new deal as it includes that natural grass is the preferred surface for game play. One of the major takeaways from the new CBA that was announced in April was that the relationship between the team and the Federation would be one that would improve. It would be more so a partnership and focus on giving the players a larger voice in their team’s daily affairs. The players are now saying that, by choosing venues that contain artificial turf, U.S. Soccer ignored the most important people in the partnership: the players. The players feel that the Federation did not take their concerns into consideration when making these venue decisions. To further that, it brings back fairness and equal treatment concerns as the men’s national team has only played one home game on turf since 2014. A specific guarantee of natural grass was intentionally left out of the CBA so that the Federation’s hands were not tied as it came to venue selection. 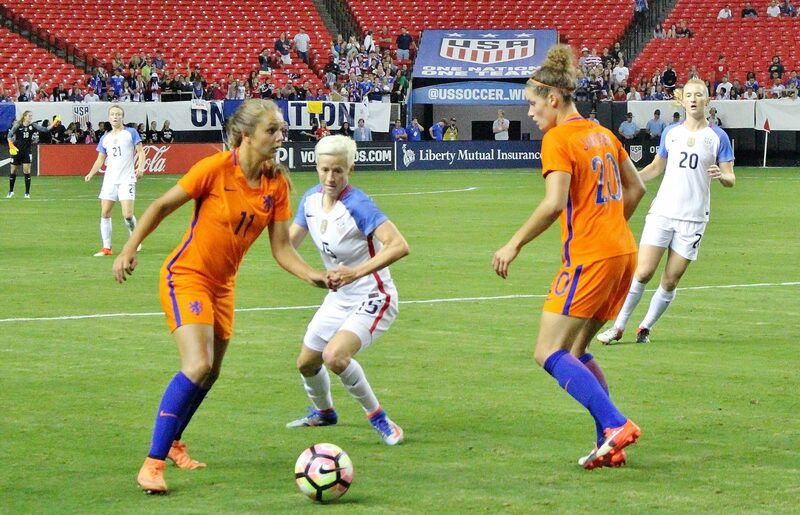 Stadium availability, scheduling, market choice, and weather are all factors that they claim to take into consideration when choosing where the women will play, however the players feel that putting them on natural grass is not their priority. 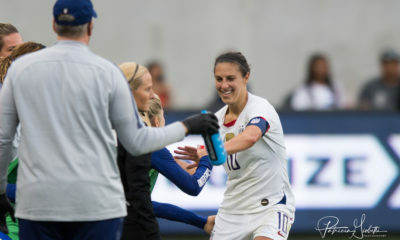 The USWNT returns to action against Korea Republic on October 19 at the Mercedes-Benz Superdome in New Orleans, in a game that will be played on artificial turf. Elli Reed, a defender for the Seattle Reign, has announced her retirement from professional soccer. Reed plans to finish out the rest of the 2017 NWSL season with the Reign, but it will be her last season as a pro. 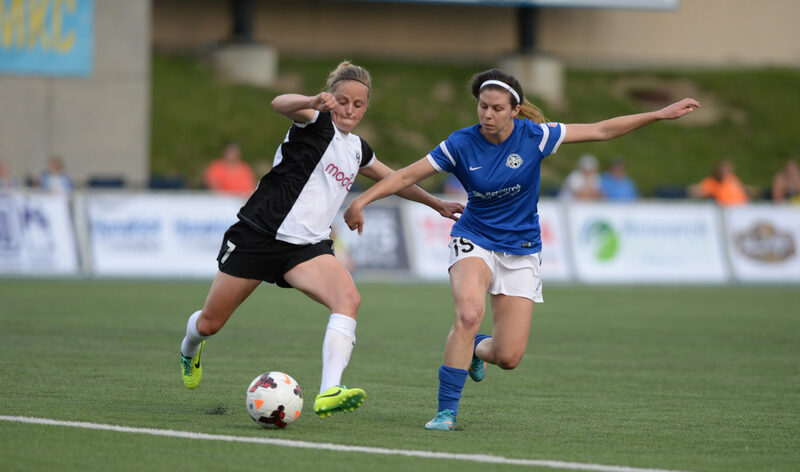 Reed, who joined the Reign in 2013 as a free agent, has played in all five NWSL seasons with Seattle. She has appeared in 78 matches for the club, making 60 starts. 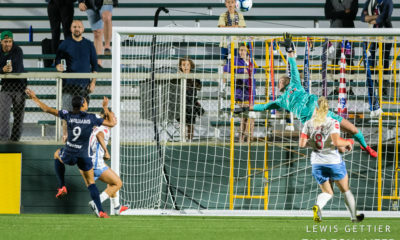 Prior to her time in Seattle, Reed began her playing career for the Boston Breakers in the WPS are being drafted as the No.8 overall pick in the 2011 WPS Draft from the University of Portland. 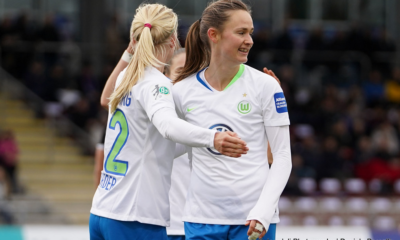 Reed also spent some time playing abroad for FCR 2001 Duisburg in the German Frauen-Bundesliga in 2012, Kristianstads DDF in 2013, and in Australia with the W-League’s Melbourne Victory for the 2014 season.